You can cut and trim to fit your project, or provide us the measurements in the comment section at check out and Smart Tint will send a pre-cut, pre-wired and ready to install system custom tailored for your application. You can also send us a template of the custom shape you require and Smart Tint will manufacture accordingly. 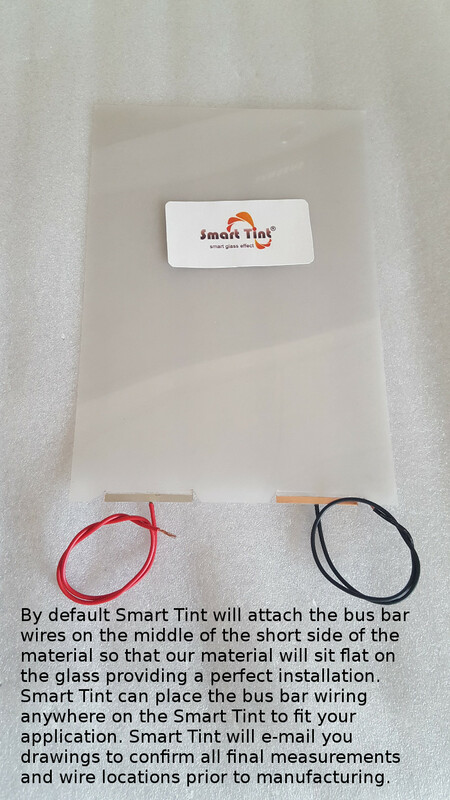 After payment has been completed Smart Tint will confirm all measurements with a shop drawing that will be emailed to you for final approval prior to manufacturing. At that time you can make final measurement revisions if any and choose your preferred wire locations. 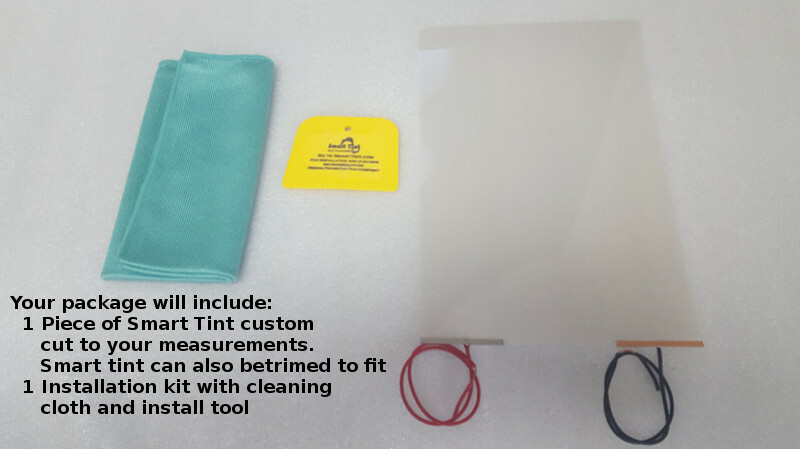 Smart Tint will attach an 18 gauge wire with a 3-6 foot wire lead to each piece of material. You have the option to have the wire installed anywhere on the film that best suits your project requirements. If you would like the non-adhesive material that installs with 3m tape (included) let us know in the comment section at check out or if you would like a different color specify in the comment section at online check out. 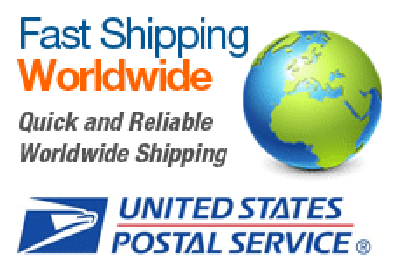 For international orders we will send you a follow up link to pay the additional shipping. For international orders we offer a 220/240vac test adapter. Request in the comment section at check out.Qty: 1 Installation kit with cleaning cloth and install tool. please contact us or click here to get a custom quote. 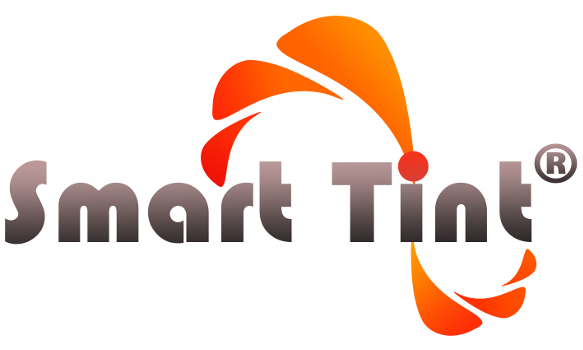 Smart Tint will manufacture your order within 48 hours of measurement confirmation after payment has been confirmed. 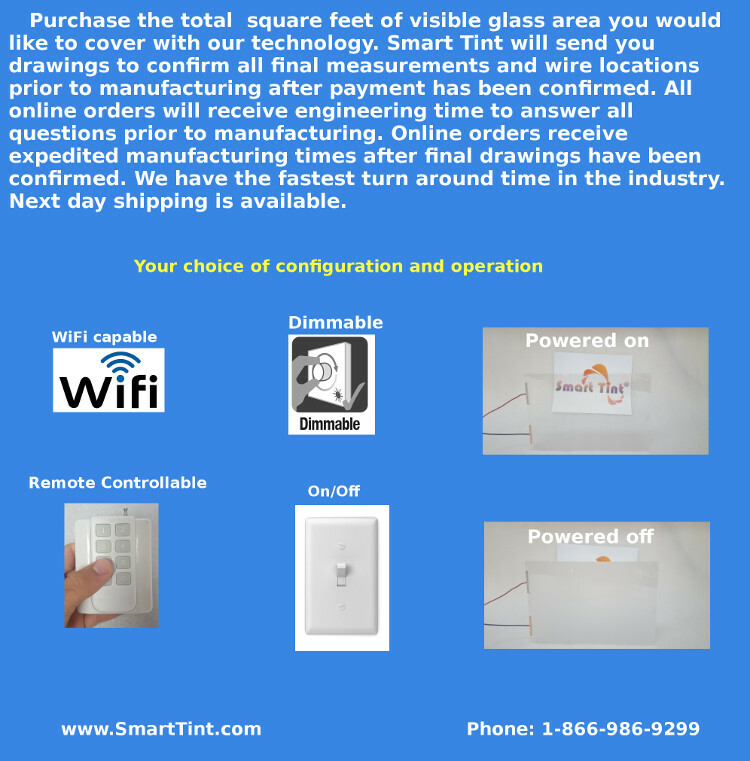 Smart Tint offers expedited shipping options as well. 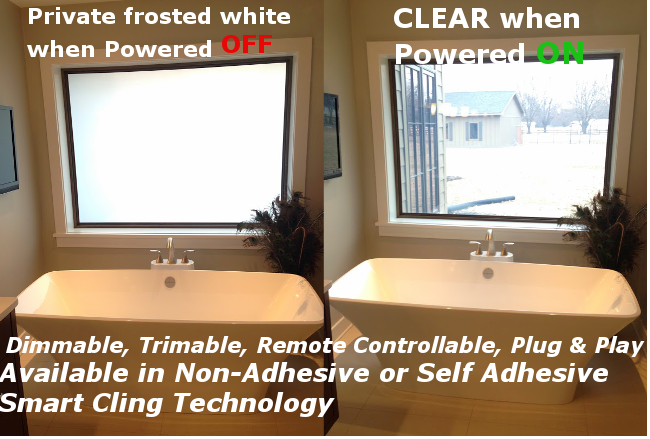 All Smart Tint material powers on clear and powers off frosted (private) and is dimmable. 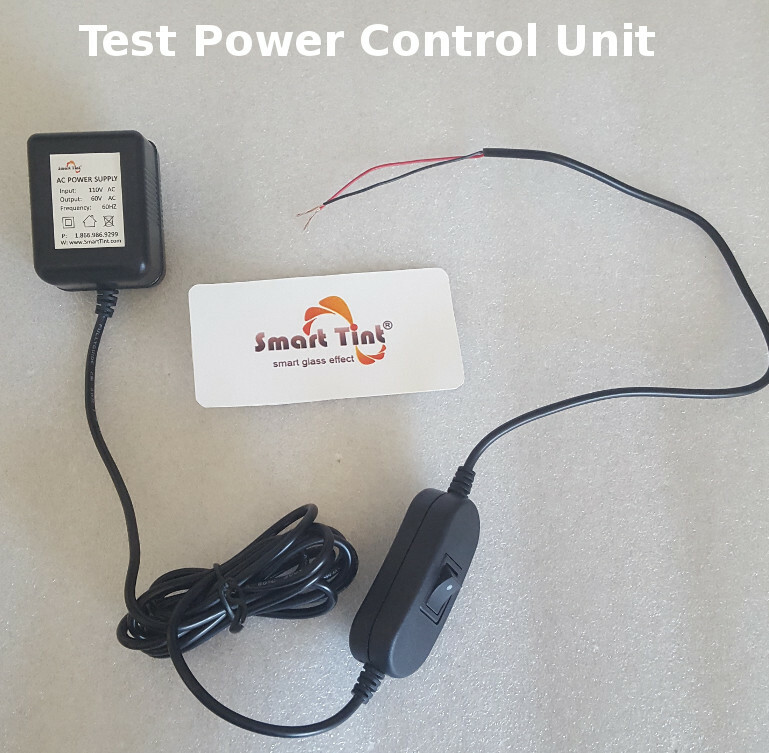 Smart Tint can be easily hard wired or plugged into a standard electrical outlet/standard lighting circuit and compatible with most 3rd party smart system integrations. Please contact us for dimming solutions.